Have you gone through and made sure there aren’t any errors in your website? Or are you sure it’s optimized to deliver leads? Sometimes websites will be created with the “form over function” mentality. Make sure you have contact forms and phone numbers on your website and that they are easy to find. If you run marketing campaigns, this is a must. 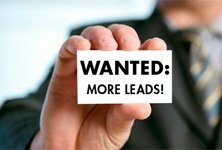 Get call tracking going on your website so you can measure where leads are coming from. This can be easily done using Google Analytics and tagging your HTML codes properly. Bonus points for making sure your phone numbers are coded so they open properly on phones. Not all phone operating systems will automatically allow click-to-calls, so getting this setup sooner than later is key to driving more calls. You can also look into a tech provider to get you setup with call tracking software. This can be more expensive but will often give you more details like keywords search before calling, time spent on the phone and more. Definitely worth it for businesses with dedicated marketing budgets. There are plenty of conversion software apps out there that can help you here. Chief among them is Crazyegg. Installing a few scripts on your site and signing up for a monthly plan lets you see exactly where visitors scroll, what they see and what they click. Go a step further and set up video recorded tracking of user activity with something like Inspectlet. Make sure if you go this route, you deactivate recording of form data. You don’t want to leak privacy details, especially credit card numbers. Google Analytics data is not accurate out of the box. There are a lot of spammers out there who trick Google Analytics into recording false data. Make sure you setup the right filters to block these spammers. Often you’ll have to create a hostname filter to only include visits that happen on your site. You should also put filters in place to exclude traffic from employees both in the office and at home. LiveChat is essential for any high performing website. Letting visitors easily contact you without having to hop on the phone is priceless. There are plenty of chat solutions out there but our favorite is LiveChat (aptly named). They offer a free trial to test it out and have lots of features like mobile apps and automated responses. A picture says a thousand words. And a video is 30 pictures per second. Do the math. Videos are a must have for any business that wants to connect with users, explain a complicated topic in less time and convert users into buyers. Consider creating videos to explain your services, your products and your business as a whole. They can be great at emotionally connecting with visitors and can be used as marketing collateral on YouTube, Facebook and Instagram too.